Battery life calculations done by hand often take into account insufficient information. The outcome of this? Bad planning, missed expectations and err designs. Calculating battery life incorrectly has become a very common problem for companies when predicting, planning, and designing for new projects. To help you, we've created a very accurate Battery Life Calculator that considers all power drains including the Pulser and Pulsing Rate on the batteries. Plan for the available Battery Life when designing new system configurations. Optimize your battery usage by always knowing how much Battery Life you've got left: When you have partially depleted batteries, enter the remaining Amp-hours and your system configuration and get an expectation of Battery Life. Engineer when designing a new system to plan for battery life expectations. 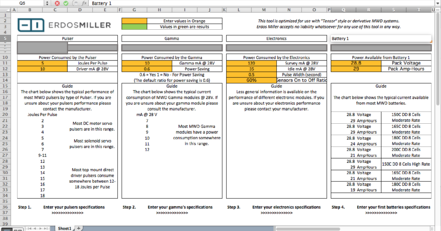 Get the MWD Battery Life Calculator Now!